Bullfrogs & Butterflies Christian Learning Center is a privately owned and operated child care facility dedicated to the highest quality programming and care for all children. Bullfrogs & Butterflies is not affiliated with any church. We teach non-denominational Christian values and pray before meals. We are licensed by the State of Michigan. We are GSRP and KCReady4's qualified. We are open Monday through Friday from 6:00am to 6:00pm. Our programs and curriculum are designed to support the developmental needs of each child in an age appropriate and supportive environment. All the staff is wonderful and patient and my son LOVES going to school each day. They are very hands on with lots of projects and he is already counting to 10 and singing alphabet right at 2 years old! I love that I get to check up on him any time I want with the cameras. I looked hard before choosing this preschool and it’s met all of my expectations and more. I’d highly recommend coming here. You get what you pay for. This daycare center has been a great fit for our family. They offer perfect hours and the staff is wonderful. Our little girl started when she was just 12 weeks old and is now a growing 17 month old. The teachers love on the kiddos daily and you can tell they truly enjoy their jobs! I would definitely recommend this center to families in the area. Our son has challenges that not all children experience. Staff have been supportive, accepting, and very caring towards our son. This has not been his experience in most settings. He is enrolled before and after school as well as during breaks. 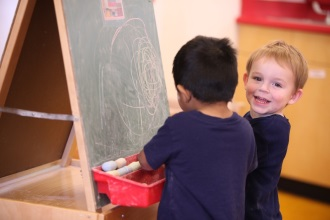 While at Bullfrogs & Butterflies, he appears to be happy and learning! This is what matters most to us! My daughter has learned so many things in the last 3 years while attending B&B. We are blessed to have the teaching team guide her through these crucia times of growth and development and love her while we are at work! Thank you B&B! The owner and entire staff have always been on top of any concerns I have had and have been responsive to my child’s needs. The staff is very polite and friendly. The building is very clean and the technology is up to date. I love being able to check the camera in my sons classroom through out the day. I feel like he is safe and in good hands every day. We have two kiddos at bull fringe and butterflies and we love it. They get a quality education as their teachers prepare them for grade school with all the necessary skills. Our kids also love it there and that means a lot! We do not have to ever worry about the quality of care we receive while we are working and that's huge! Our 4 year old son has been going to Bullfrogs & Butterflies full-time since he turned one year old. He's now in the Preschool program and he absolutely loves going to school. He has always had great teachers who are genuinely invested in his growth and happiness. He cherishes the friendships that he's developed at school. As parents, we feel good knowing that he gets a variety of experiences and lessons at school, ranging from academic to social skills to bible study. They have a thorough curriculum for children of all ages. It's so fun hearing him talk about all the different things he's learned each day. The teachers are always willing to help your child focus on their specific need areas. They have a webcam and an app so you can stay connected with what your child does throughout the day, and they send a daily report at the end of the day as well. We also plan to enroll our newborn in the infant room later this summer. We definitely recommend this center for trusted childcare! We have been at B&B for one year now. We feel like our son is very well cared for. We appreciate the communication via the Tadpole app. We also enjoy checking in on the camera throughout the day. The teachers and staff are friendly and always have a smile on their face. My daughter has meet some of her best friends and Bullfrogs and Butterflies! She talks about them all the time and is excited to go to daycare to play with them. Best place to keep your child. We recently moved our children into Bullfrogs and Butterflies from an in-home nanny. The owner Joellen has gone out of her way to ensure the transition was seamless and our experience was positive. 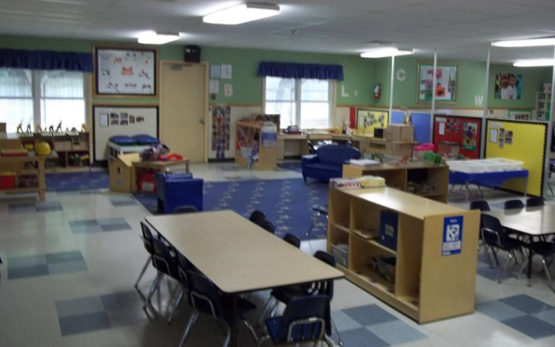 The center strives to provide a flexible, family-friendly environment. The staff has gone out of their way to make our kids feel welcome and has taken a marked interest in their development. We love the live video feed and the daily Tadpole report. We would definitely recommend Bullfrogs and Butterflies to our family and friends! My son has been going to Bullfrogs and Butterflies since he was 12 weeks old and I have been extremely happy with the care and education he has been receiving. The entire staff has always gone above and beyond while caring for all of the children. I whole heartedly recommend Bullfrogs and Butterflies. They are an incredible, caring team. They take a personal interest in each child, catering to each specific need. Both of my children have blossomed while being here. Always learning and caring for others. So impressed with the quality of staff/caregivers. And the Director knows all the children and parents by first name. She is always more then willing to listen too/help address any concerns. Truly caring. Concerns that did come up were addressed in a timely and caring manner toward all involved. We have trusted Bullfrogs and Butterflies Christian Learning Center with all three of our children since 2007. We love the attention to detail and safety. The curriculum is excellent and we were extremely pleased when our son entered kindergarten and was more than ready. Everyone is very nice and our kids love the teachers. We are so happy with Bullfrogs & Butterflies Christian Learning Center! After visiting several centers in the area we couldn't have found a better place for our boys. We are so impressed with how much they have learned being at this center. The teachers are wonderful! Our daughter loves visiting her friends and teachers at Bullfrogs and Butterflies. She has learned so much in the year and a half she's been attending there. We drive 15 plus minutes out of our way each day because we wouldn't trust anyone else with her care. Definitely recommend this fantastic group of child care providers! The staff is very friendly and caring. They are willing to work with families to provide the best care for each child. The building is very secure. Any questions or concerns I've had about my child have always been addressed as soon as possible. My daughter really enjoys attending Bullfrogs and Butterflies! I feel that Bullfrogs and Butterflies has truly been a gift to our family. 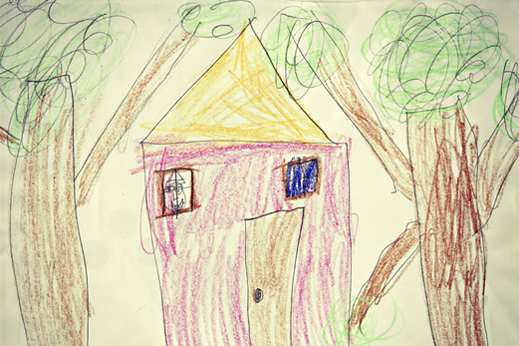 We believe B&B has genuine love of all children and strives to meet the needs of the whole child. B&B has demonstrated a commitment to understand each family and their needs; we have two children here, both have required special care in very different ways. There is consistent communication and feedback in regard to their needs and how to best support their development. This is extremely important to us as this is where our children are spending their time away from home! My elder daughter Skyla has been attending Bullfrogs & Butterflies for two years. Now my younger daughter, Sofia, two years old, is attending the center. As parents, it is important to be certain that our children will be loved, that they are safe and secure, that they learn to play with other children in a day care center. Bullfrogs & Butterflies grants me that peace of mind. Each morning when I drop my daughter at the facility, I can say goodbye to her and go to work with trust that she will be properly taken care of. For this, I thank you, Bullfrogs & Butterflies! I love that my daughter has formed such a bond with her lead teacher. All the caregivers take the time to truly understand and learn the needs of your child. It is wonderful to receive her daily log via email and to get photos/videos each day, is priceless. My daughter has such fun each day with the staff and kids. We love taking our child to Bullfrogs & Butterflies! The web cam and Tadpole communication system really helps us understand what they are learning on a daily basis and how we can continue that at home! My children have gone to Bullfrogs & Butterflies for many years and we have always trusted the staff there. B&B has undergone more changes in the last year and it has only enhanced the quality of education and care. Everyone there is extremely nice. My son LOVES going to school in the morning and he learns so much it’s amazing. I love I can check on him throughout the day. I would recommend everyone to go here. You get what you pay for. We are new to Bullfrogs and Butterflies and have noticed how clean the daycare is and how friendly and caring the staff is. We also really enjoy being able to log in and see our little one during the day. We have been part of the Bullfrog and Butterflies family since 2011. 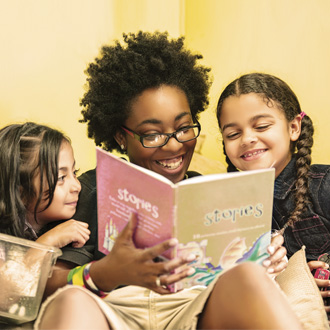 During our search for child care and early education centers in the Kalamazoo area we found many good options; however, from the time we walked into B&B we immediately saw they were a step above the rest. After four years at B&B we’re still satisfied with our choice. The centers owner and administration is easily accessible and spend time with the children in the classrooms every day. 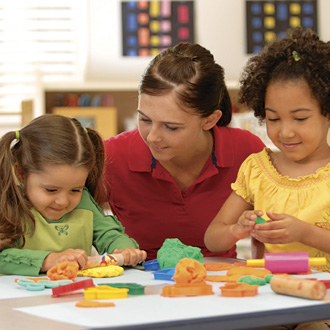 The staff are friendly and have a passion for their work and the children they care for. Many staff rotate through the rooms and get to know many of the children. The teachers are prepared every day and have the tools they need for nurturing and age appropriate learning. The moral of the B&B team is high as well as the team environment. The preschool has a highly rated curriculum. We’re confident that our son will be ready for kindergarten because of the skillsets he’s learned through the curriculum. We would highly recommend you consider Bullfrog and Butterflies in your search for child care as well as their preschool program. Bullfrogs & Butterflies has a very structured approach to developing your child while nuturing their relationship with God. Their approach will ultimately set children up for success in life. Best experience by far with child care that ive experienced. Joellen and her team of amazing teachers have been so caring and helpful theyve certainly gone above and beyond! I trust them so much with my girls. Large, clean physical environment with helping loving staff. I like how structured the days are and the tadpole reports detailing the day that are emailed once the child is checked out daily. It's great to read about what my child did before getting home when it's my husband's day to pick them up. It makes for great dinner conversation to recap the day. I feel my kids are in a safe and nurturing environment which makes it easier to accept not being with them all the time. The teachers are very caring. The staff at Bullfrogs & Butterflies are a real joy to work with. They care about our daughter's social and emotional well being, and treat her as one of their own. She has learned so much in the time she has attended, and is ready for kindergarten, thanks to the staff. We have always been able to voice concerns and ask questions, and have been met with listening ears and caring hearts. Our daughter is shy, but her teachers recognize that she is just the way God intended her to be, so they celebrate who she is. She is encouraged daily to explore and learn through experience, and her love of art is fostered and appreciated. The other families that we have met through the years are wonderfully supportive. We couldn't be happier with our experience. When we had a concern recently, it was brought to the attention of the director and handled promptly. Joellen and her staff are wonderful! We love the center! My family has been at Bullfrogs and Butterflies for 5 years! Joellen is a fantastic directer and owner. The staff are always friendly and caring. My son started in the preschool room and is now in the school age program. Both of my boys like to go in the morning! My son has been going to Bullfrogs and Butterflies since he was 12 weeks old. The staff goes above and beyond to ensure that every child is well taken care of.